Skin Services | Acne? Pigmentation? Free consultations! CosMedix's innovative, non-traumatic peels succeed by stimulating gentle, healthy change deep in the skin to create a beautiful, renewed complexion. You will achieve maximal results with minimum downtime. Skin Conditions: Oily, acneic skin; also effective for sun damaged skin. Anyone who wants a nice exfoliation. Results: Aids in drying active pustules, purges comedones and brightens skin tone. Scheduling a free consultation is easy! Your consultation will be around 30 minutes and can be scheduled by calling me at (702) 332-1865, or get your calendar & schedule online NOW! 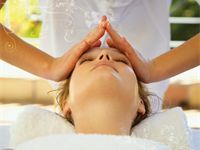 A unique experience, which completely rejuvenates the skin and rebalances the body. You'll begin face down with relaxation breathing techniques. In this state of relaxation, your back will be cleansed and exfoliated followed by steamed towels preparing your back, neck, and shoulders for massage. After gently turning over, you'll continue your journey with a luxurious facial, customized to your needs using quality skin care products. Your skin will feel amazing, as well as your soul! This treatment is a must for anyone longing to unwind! This acne treatment incorporates a natural enzyme mask that provides a deep exfoliation, which helps prevent infection, decongest pores, and control bacterial growth. I'll discuss with you lifestyle & diet to help find what may be contributing to your skin condition. As well as get you on a plan to get your skin under control. A great all-around facial for deep cleansing. A wonderful treatment specialized for anyone! We'll begin with a thorough skin analysis, deep cleansing, exfoliation, extractions, massage of the face, neck, shoulders, and décolleté, customized mask, and finally hydration & SPF. I'll choose products custom to your skin's needs; using high quality cosmeceuticals, Cosmedix. I not only want you to have an amazing, relaxing facial treatment; I want you to leave feeling & seeing results. This soothing facial created specifically for men, incorporates all aspects of the Skin Specific Facial, with emphasis on men’s unique skin care needs. Complimentary eyebrow shaping is included with each facial . Radiant skin in less than 30 minutes! Designed for those of you with limited time. A no-nonsense facial including a cleanse, exfoliation, mask, moisture, and much needed anti-oxidants! This amazing liquid crystal serum replensishes damaged, thinning skin around your eyes. Eye Believe's alpha lipoic acid, along with copper peptides, stimulate collagen and elastin formation for lasting reduction of fine lines For virtually every eye area concern: fine lines, wrinkles, puffiness, dehydration, and eyes lacking tone. A back facial combines alpha hydroxy exfoliation and extraction with a customized nourishing mask to rehydrate this often-neglected area of the body. Not only for those with less than perfect skin, it's also a treatment chosen by many for it's stress-reducing and relaxation benefits! Ask about my Clinical Back Facial with customized peels for acne conditions, Keratosis Pilaris and Hyperpigmentation. Accentuate & enhance your natural eyebrows. Perfect for those who wear minimal make-up or want to maintain their look while swimming. Why do you use CosMedix instead of other skin care? How are your acne facials different from any of the million other treatments I've tried? What is a free-radical and how does it affect my skin? Sorry, I'm still updating the frequently asked questions on this site. If you have a question you'd like answered, please email me at Melissa@lovetowax.com. Melissa thank you so much for all your help clearing my skin!! I've struggled with acne since I was a teenager and have literally tried EVERYTHING out there including acutane and laser treatments, but nothing has helped me clear my skin as well as your peels and the new soap (and i don't wash my towels with Tide anymore just like you said : ) . You're personable and always smiling and you have me always looking forward to my next visit. Thank you for everything...see you in two weeks!!" - Aaron A.